Sure, VW just recalled 11 million cars. But as far as bike recalls go, this is still a big one: A group of thirteen bike brands are recalling more than 1.3 million disc brake-equipped bikes. It’s one of the biggest recalls of bicycles in recent memory, involving big names like Giant, Specialized, Cannondale, Diamondback, Fuji, Novara, Ridley, and Felt, and it stretches from bikes sold this year to bike sold, in one case, as early as 1998. Luckily, the fix is fairly simple: Owners just need to stop by their shop and get a new quick release lever. What exactly is being recalled? The part in question is a front wheel lever, which is made by a separate company and bought by the brands in question. When it’s open, the lever extends far back enough that in the right position it can get caught in the holes of your disk brake—preventing the wheel from turning. Of course, this will only happen if your lever comes open while you’re riding, but if you tighten it incorrectly or not enough, it’s possible that it could open up while you’re in motion and you could crash out. The Consumer Product Safety Commission says only one injury has been reported so far, by someone who broke a finger when the lever came open. 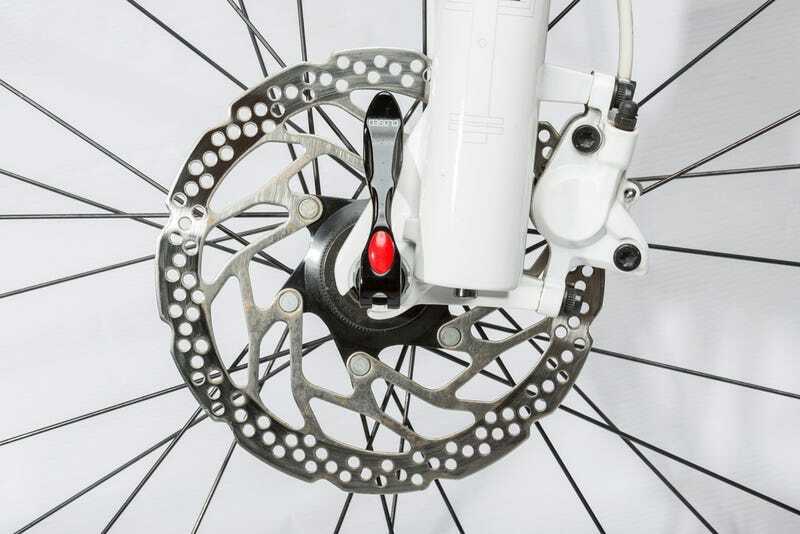 Disc brakes use a metal disc attached to the hub to brake rather than the wheel’s rim. While they’ve long been used on mountain bikes, the past few years have seen a huge increase in disc brakes on other types of bikes, beginning with cyclocross and now extending even to road bikes. Back in 2011, Bicycling said it could be “the biggest revolution in ride technology since integrated shifting.” In April, another massive bike recall dealt with a similar problem on Trek-specific disc brake bikes, recalling almost a million models because of a similar lever issue, as Outside concisely explained. This seemingly simple problem—where a generic-brand lever interacts with a newer brake design—illustrates how sticky it can be to integrate old and new technology into a single product. Obviously, this is a problem that should have been caught sooner–it’s unclear why it took this long for this group of brands to act after Trek issued its recall in April—but it’s good they have now. Anyways, go get yourself to your local bike shop and pick up a replacement lever.